If we’re going to talk about food to eat at the track, the French simply cannot be beat. As Bob mentioned in his comment today, the croissants are excellent at Magny Cours. 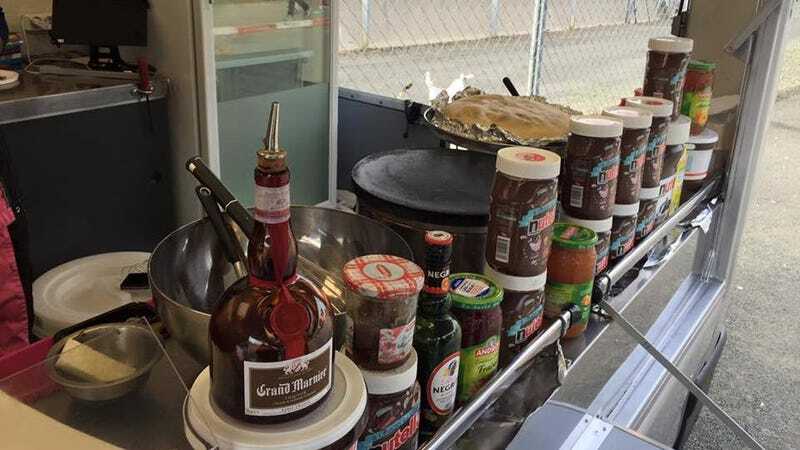 But hands down the best food I’ve ever had at the race track are the Grand Marnier crepes from this little food truck parked trackside every year at the 24 Hours of Le Mans. He’s also right that Road America is the best of any American track. The bratwurst there is incredible, as you’d expect any Wisconsian bratwurst to be. By comparison, Laguna Seca’s “famous” Frog Dogs are utter trash. I go to a lot of tracks, and I eat a lot of food. It’s not always fun to mix the two. Bob’s got the correct assessment of trackside food. Well done on your COTD victory, Bob. Now go get yourself a croissant.